In an effort to restore some semblance of those traditional values, principles and moral conviction that America was founded on and the Obama administration so recklessly and dispassionately undermined, the Trump administration is exploring the possibility of bringing to an end the purchasing of aborted baby body parts by the Department of Health and Human Services (DHH), which I wrote about in an earlier article. The DHH in a letter sent by assistant secretary Brett Giroir to North Carolina pro-life Congressman Mark Meadows, and a copy obtained and reported on by Politico, has stated they will consider this move and replace the use of aborted baby body parts, so long as they can find a viable alternative, hopefully, I will add, one that will be ethically and humanely acceptable. The National Institute of Health (NIH), is an agency of HHS and has invested about $100 million in contracts to assorted scientists who in their research use aborted baby body parts. Pro-life groups have made their concern and outrage known, and have been urging the federal government to bring to an end this tax-payer funded use of baby fetal tissue. However, some in the scientific community have voiced their objection claiming that fetal tissue would be preferable and more beneficial for research. The letter indicated that the Trump administration is moving forward to end aborted baby fetal tissue use in research, and went on to say, “The HHS is fully committed to prioritizing, expanding, and accelerating efforts to develop and implement the use of ethical alternatives, and that the department is pro-life and also pro-science, and that “Models that are scientifically validated and reproducible in multiple conditions and by multiple investigators”, is our top priority. Another HHS spokesperson Caitlin Oakley is quoted as saying “We continue to go through a thoughtful, deliberative process given the scientific, ethical and moral considerations involved, especially when we receive inquiries from members of Congress”. And as reported by Politico, recently HHS officials met with scientists, pro-life leaders, and bioethicists to discuss this matter. In light of this endeavor by the Trump administration, there have been some disturbing revelations uncovered by pro-life groups and conservative news outlets of continued government spending on fetal tissue, including what could be viable unborn babies up to 24 weeks gestation. The Trump administration has canceled one contract, but this heinous business continues and must be stopped. Even though this heinous business continues to this day, the Trump administration’s determination to end once and for all what I believe is the desecration of innocent human life is a hopeful sign that we as a society are coming to our senses. In some other good news for the unborn and right to their life, the American abortion rate continues to decline. In a new report, which is incomplete, the Center for Disease Control (CDC), reports abortions thus far have reached an all-time low since Roe v. Wade- 1973. 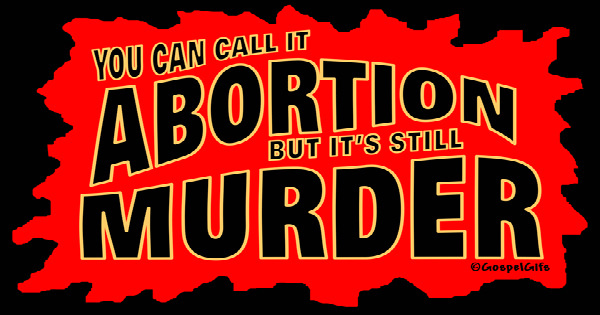 The report recorded 638,169 abortions in 2015, a 2% decrease from 2014. Note, the reporting of abortion numbers to the CDC is voluntary, with the exceptions of California, Maryland and New Hampshire, all other states report their numbers. According to the CDC, the abortion rate declined by 26% since 2006, and among teenagers, the numbers declined even more by 54%. The abortion rate is highest among African American women, 25.1 per 1000 and lowest among white women at 6.8 per 1000. Another important and interesting fact, according to the U.S. News and World Report, 86% of women who had abortions were not married. The abortion giant Planned Parenthood averages approximately 323,000 abortions annually, and for them to accomplish their brutal life ending goal, they need help. Following is a list of companies that support PP: Adobe, American Express, Bank of America, Ben & Jerry’s, Bath & Body Works, Clorox, Converse, Dockers, Energizer, Expedia, Frito Lay, Groupon, Johnson & Johnson, Kraft/Heinz, Levi Strauss, March of Dimes, Microsoft, Nike, Pepsico, Pfizer, Starbucks, United Airlines, Verizon, Wells Fargo. When it comes to abortion and its aftermath, it appears, for the time being, we’re going to have to accept the good with the bad. Hopefully and with the grace of God, maybe someday we as a people will come to our senses and realize all life is sacred and precious and must be treated accordingly.